Prime Minister Voreqe Bainimarama has urged all iTaukei to examine the truth about their rights by reading the 2013 Constitution. Speaking at the opening of the Buca Bay Road in Vanua Levu today, Bainimarama claims SODELPA continues to spread lies that the government is eroding the rights of iTaukei. 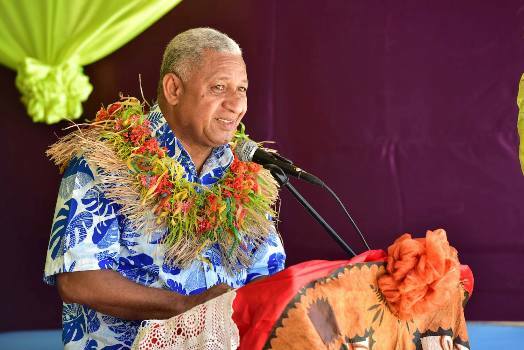 Bainimarama says not an inch of iTaukei land has been lost under his government prior to the elections, under the Constitution or under the Fiji First Government. The Prime Minister says he presides over a government that respects the intelligence of the Fijian people and values their common sense. SODELPA hasn’t responded to questions sent by FBC News.